Qualify and Enjoy an automatic 5 (five) % discount on your next order by referring 1 (one) person who purchases their VuPlex® order online before you place your next online order. To qualify you must ensure that your details are supplied by the person you’ve introduced to VuPlex® on our Contact Page under “Your Message”. Terms and Conditions apply. Qualify and Enjoy an automatic 15(fifteen) % discount on your next order by referring 10 (ten) individual customers who purchase their VuPlex® order online before you place your next online order. 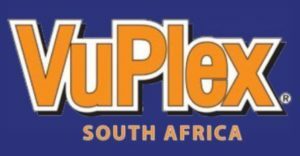 To qualify you must ensure that your details are supplied by the person(s) you’ve introduced to VuPlex® on our Contact Page under “Your Message”. Terms and Conditions apply. Free Shipping for orders exceeding R4000.00 (four thousand Rand). Terms and Conditions apply. The discounts referred to above DO NOT apply to product(s) that are already discounted and or on special offer. Bona fida retailers are always invited to contact us to discuss and enjoy additional discounts based on volume orders.